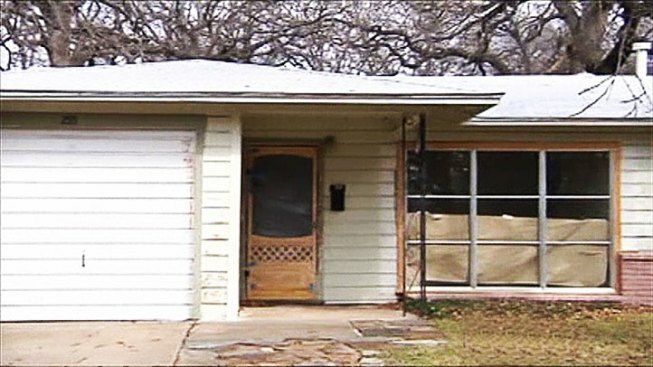 Ahead of the 50th anniversary of the assassination of President John F. Kennedy, the city of Irving is restoring the home Lee Harvey Oswald slept in the night before the assassination and turning it into a museum. In Nov. 1963, Lee Harvey Oswald and his wife Marina were separated. While he normally stayed in a rented room at a house on Beckley Avenue in Dallas during the week, Marina and their children stayed in a rented room in the Irving house owned by Ruth Paine. Oswald typically visited his family on the weekend, but on the night before the assassination he spent the night with his family at the Paine house. City of Irving archivist Kevin Kendro said police believed the gun used in the assassination was stored inside the garage of the Paine home and that Oswald left his wedding ring and some money in Marina's room prior to leaving that Friday morning. The city purchased the old Paine house and is in the process of restoring it to its 1963 look while simultaneously planning to transform the building into a museum ahead of 50th anniversary. "It gives you a feeling to be able to stand in a place, the very place where something historic occurred," said Kendro. Kendro said the city plans to spend more than $100,000 to restore the house and prepare for its opening as a museum. Anthony Rucker who lives across the street from the infamous house, said he didn't understand the city's efforts. "It's odd. I don't get the gist of it, to turn it back into what it was and what the city spent on it to purchase the property and do that," he said. Rucker said he moved into the neighborhood in 1987. He said visitors have been coming by his street to get a closer look of the historic building for years. "Every time the anniversary gets close, the rental cars pull up and everybody bails out with their cameras and takes pictures of it and that kind of thing," said Rucker.